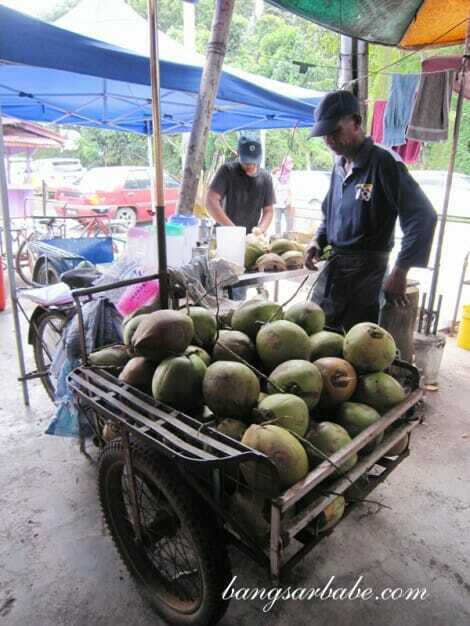 “What’s so special about a coconut shake?” I asked rif and his parents, who love going for Klebang Coconut Shake whenever they are in Malacca. 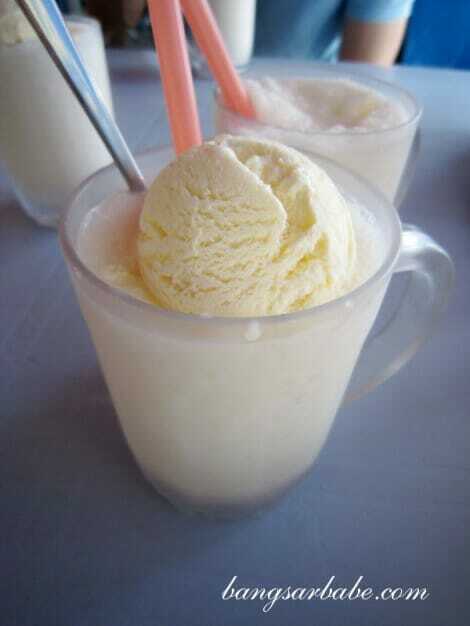 According to them, it’s the best thing created to combat the sweltering heat. 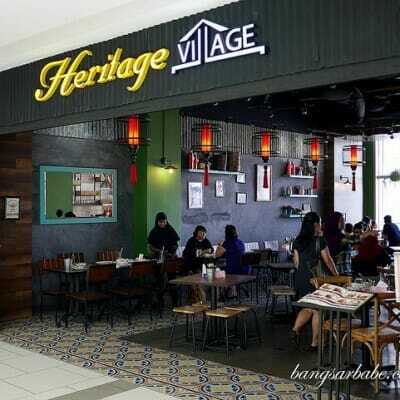 The stall, constantly packed with customers, is divided into three parts – blending station, coconut opening section and dining section. 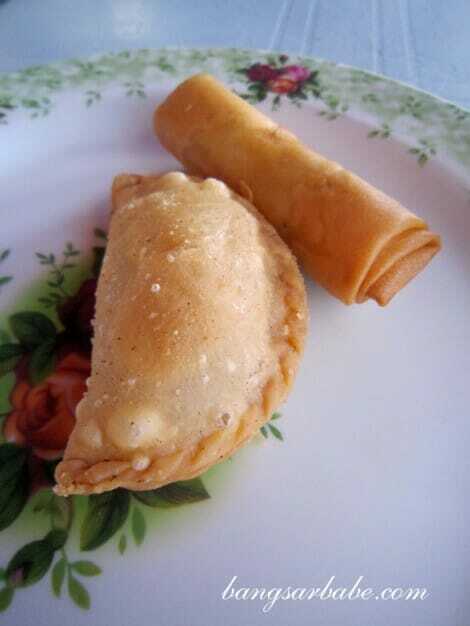 They also serve nasi lemak packets (RM1.20 per pack), curry puff and popiah just in case you feel like munching on something while having your coconut shake. I didn’t care much for the snacks – they were ok, but hardly memorable. 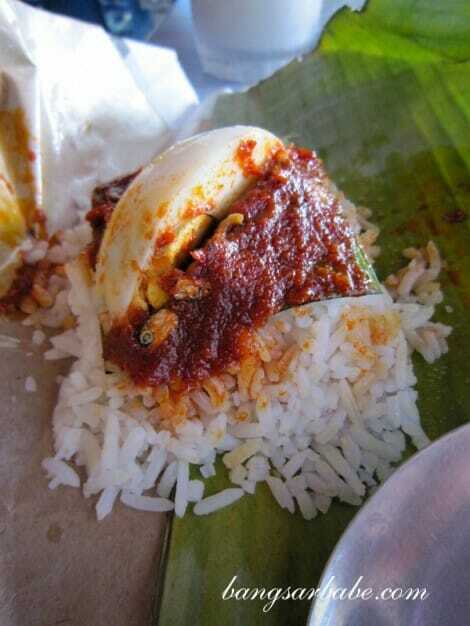 rif thought the nasi lemak was quite decent as it was still warm and the sambal was spicy. 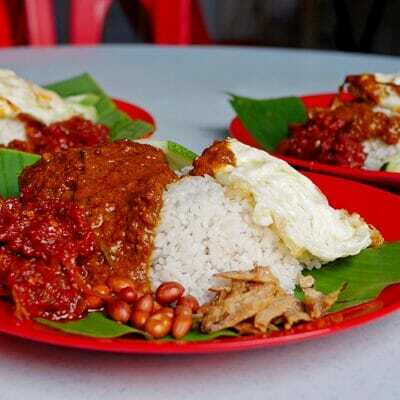 I was never a fan of packet nasi lemak and didn’t enjoy it as much. The star of the show arrived 10 minutes later. 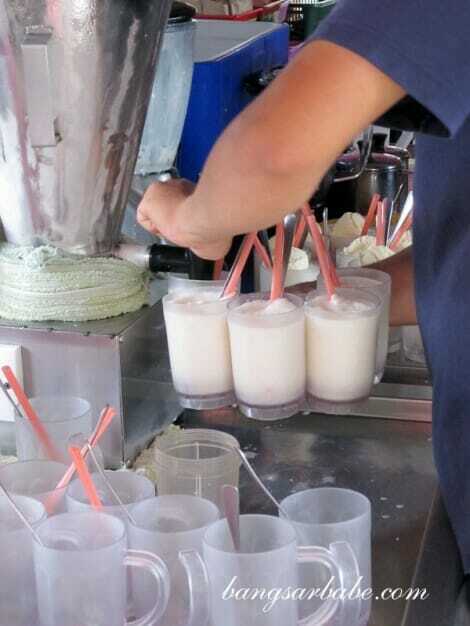 My friends and I had the coconut shake special (RM2.50) while rif opted for the normal coconut shake (RM2). The guy blended coconut flesh and coconut water together with some ice cubes and the special version came with a scoop of vanilla ice cream on top. The end result was a refreshing, tropical concoction with a sweet and creamy aftertaste from the ice cream. I liked the bits of coconut flesh in the drink as they gave the drink more body. Very thirst-quenching during that hot afternoon! 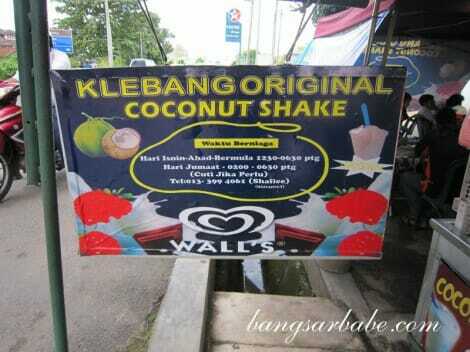 Klebang Coconut Shake is located along Jalan Klebang Besar, next to Caltex Station.